Received this message this morning from a friend who uses Hotmail for his mail service, been awhile but it would appear that someone is STILL trapped in a hotel in Lagos. I was actually pretty impressed with the writing of the message, generic enough to be sent to anyone but with just a soupcon of desperation. His account has been hacked, I suggested Gmail instead. Hello, Sorry I didn't inform you about my traveling to West Africa for a Seminar, am presently in Lagos Nigeria. I am stranded here because i misplaced my wallet and other valuable things, personal items such as cash, credit cards and identification documents on my way to the hotel i lodged. I will like you to assist me urgently with the sum of 2500 pounds to sort-out my hotel bills and get myself back home. I will appreciate whatever you can afford; I’ll pay you back as soon as I return. I had no option than to send you an e-mail since I have exceeded my spending limit in the hotel and I have no money to call you. It will cost me much to make/receive phone calls and I don't have such money right now. I can only contact you through my e-mail for now. It's impossible for me to access my bank account from here, which is why I need your help. The safest and fastest way for you to help me out is by sending the money through the Western Union . So I will really appreciate whatever you can afford and I promise to pay you back as soon as I return, kindly let me know if you can be of help? So that I can send you the Details which you will use when sending the money to me through Western Union , Thanks. "Shot over the span of a year with Canon DSLRs (mostly 350d), processed with Lightroom (raw files color adjustment and resizing)/VirtualDub (deshaker/deflicker filters)/Sony Vegas (editing). Original rendered in 1080p. Music is "Is That What Everybody Wants" from Cliff Martinez's superb soundtrack for Solaris, available from all major music outlets." Since then I've hit over 30mb's occasionally as well. Water goes faster through a pipe than a straw so makes sense the connection is faster. 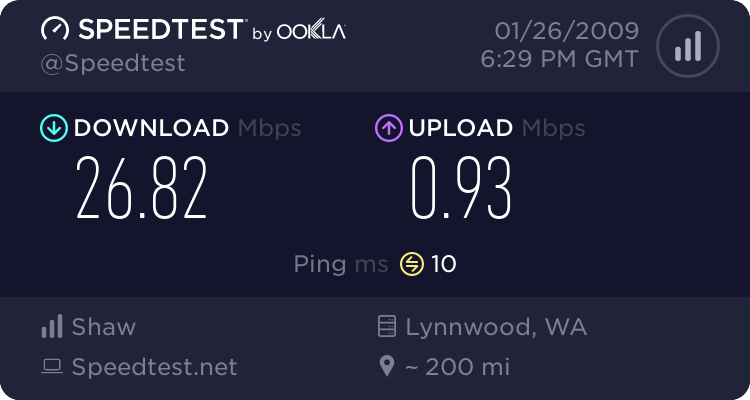 Incidentally, speedtest.net is the best site I've come across for testing your internet connection speed, at least for those thus inclined. I am a lists kind of guy, I have always been a lists kind of guy. I'm sure that I will forget something and usually do. The only way to assure myself of covering the ground for my particular monomania is to jot down a good list. I'm not sure when this started though I remember early on at sea that someone advised me to always carry a notebook in my pocket and I perhaps picked up the habit then. By the time I was mate it was a fixture in my coverall pocket. At one point (and this was before planned maintenance systems in general and certainly before they were applied to the deck department) I would cover the perspex cover of the GA drawing in the cargo office with a long list of all the maintenance for deck machinery for the next month. The advantage here was that if I wasn't around, (on the bridge, down a tank or god help me, asleep) the bosun could always stop in the cargo office and see quickly where next to direct the crowd. Even being the long time geek that I have been the advantage of an analog system that everyone could see, that never went down and was only booted once was apparent. I'm still split digital/analog, when I go out I like to grab an old envelope and use the back for a list of the things I'm going to pick up. For work I could never find an elegant way in a notebook to move undone tasks along from one page to another. I tried using Daytimers for a few years and Filofax but there seemed to be a lot of moving of pages and whatever design you bought the layout didn't work. Eventually I just ended up with a plain notebook and used sticky notes to move tasks along from page to page. Nowadays, and for a few years now I've tracked all that I haven't accomplished on my computer. Originally on whatever work peecee I had but lately of course on my blessed Macs. I tried Yojimbo and Circus Ponies Notebook (with a name like that how could you not try it?) which were both good programs but went a bit too far the other way in lacking enough of a PM structure (having used MicroSoft Project, the poor cousin of their other barely adequate software programs). I have for a few weeks been trying out a new program from Omni Group called OmniFocus. OmniFocus bills itself as "Professional-grade personal task management" and damned if there isn't some truth in advertising for once. Omni produces several other programs that are common on Mac's, Omni Outliner and Omni Graffle being an outlining program and a drawing program respectively and knowing those programs made taking this one up very easy. There's likely lots of reviews online if anyone is interested in the program but suffice to say for me that I found it very easy to learn and fast to get all the tasks I could think of into the program. The developers are devotees of the GTD or Getting Things Done principles of David Allen and that is apparent in the design. I'm only scratching the surface but one of the features that appealed to my inner geek is the ability to e-mail yourself tasks and using a simple code have them automatically entered into the program.